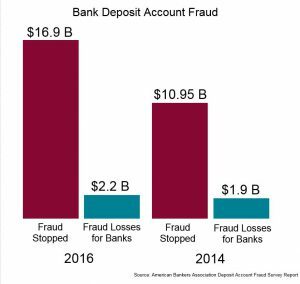 The nation’s banks stopped nearly $17 billion in fraudulent transactions in 2016 -- a figure that represents a substantial increase since 2014 in attempted fraud, when the industry stopped $11 billion -- according to ABA’s 2017 Deposit Account Fraud Survey Report released today. 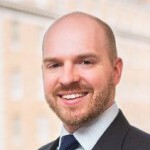 The survey — which sampled 138 banks of varying sizes — found that debit card fraud accounted for 58 percent of industry loss, with the majority of cases involving counterfeit cards, card-not-present transactions or lost or stolen cards. Check fraud was the next most common fraud type at 35 percent. Other channels, including online banking and electronic transfers like wires and ACH payments, accounted for 7 percent of industry losses.